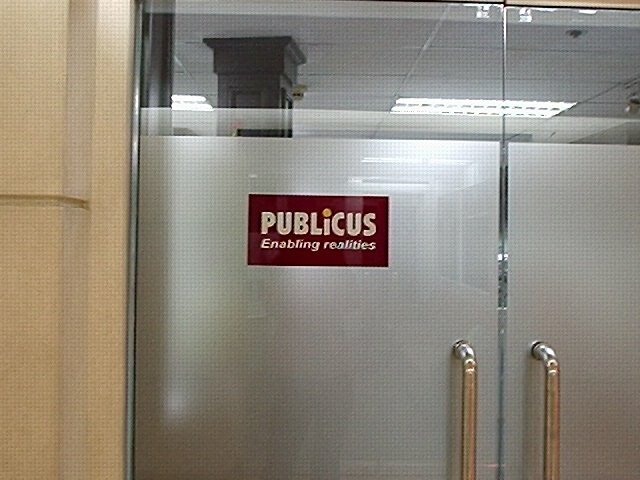 My first day at PUBLiCUS was a mess. I started to feel that it has become a pattern for me to get into trouble during “firsts”. I arrived at Jollibee Building earlier than expected. By the time I got in the office, I was already sweating. BAD NEWS!!! The air-con was not functioning that day. It turned out that they had the place renovated over the weekend. Since most of the things were not in their proper places, the trainees were forced to help do menial jobs. I was totally shocked to have been asked to sweep the floor. HELLO? Miss Hilda (Office Administrator) handed me a broom and told me to start up front. It was no big deal for me because I do sweep my own room; but then, theirs was carpeted. Perhaps, the only lesson I learned that day is to be sensitive to the needs of others. Without me, no one for sure will do the job. Come lunch time, both of my arms were aching. Maybe it is because I did not do so much with my hands at DM9. Oh well…this is it.